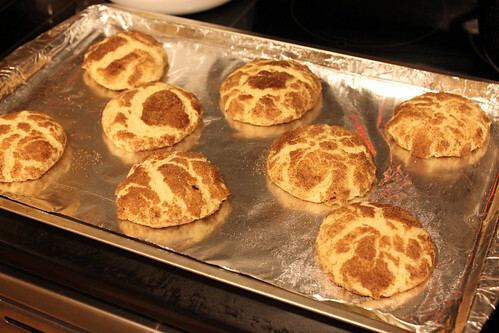 Snickerdoodles are a sugar-type cookie rolled in a cinnamon sugar mixture giving it a sweet and cinnamon spiced flavor. During baking, a crinkly top is formed as the outside of the cookie cracks while the inside of the cookie is soft and chewy. This cookie is delicious! 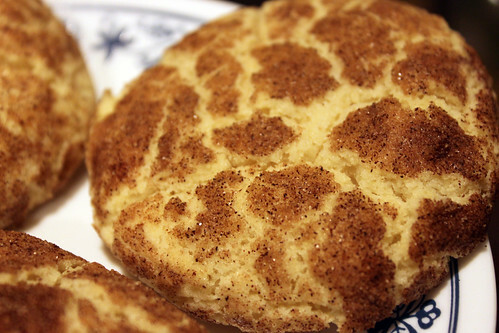 This Snickerdoodle recipe is from my America’s Test Kitchen Family Cookbook. Since the recipe was so perfect, I made no changes to the recipe and followed each step exactly. 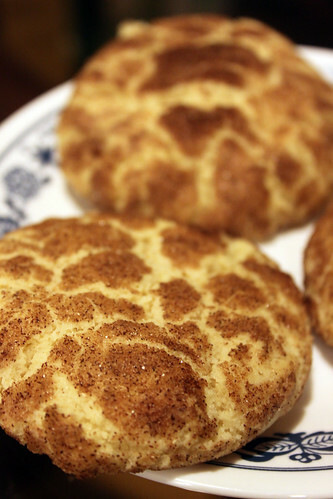 I’ve made these cookies a few times and everyone that tried the Snickerdoodle loved it! Preheat the oven to bake at 375 degrees. 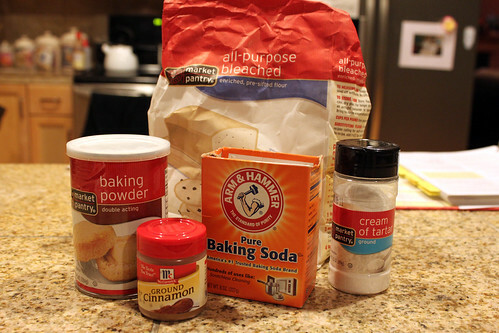 In a medium bowl, whisk all-purpose flour, cream of tartar, baking soda, and salt and set aside. 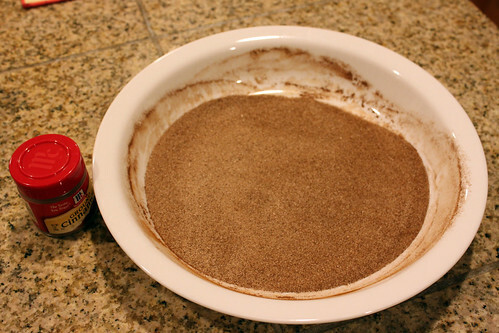 In a shallow plate, mix cinnamon and 1/4 cup of sugar and set aside. 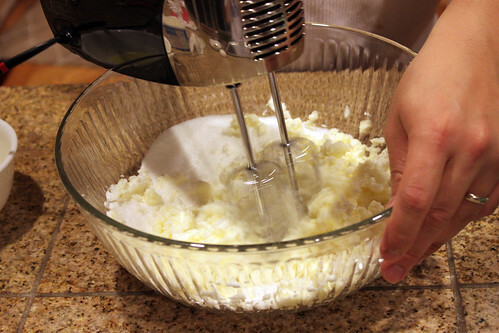 In a large bowl beat 1 1/2 cups of sugar, softened butter, and shortneing on Medium speed for 3 minutes or until fluffy. Beat in eggs and continue beating until fully incorporated. 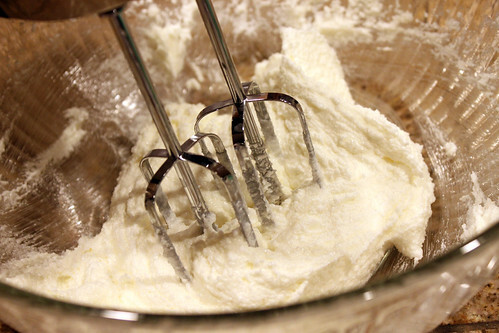 With a rubber spatula, slowly mix in flour into the butter mixture until combined. 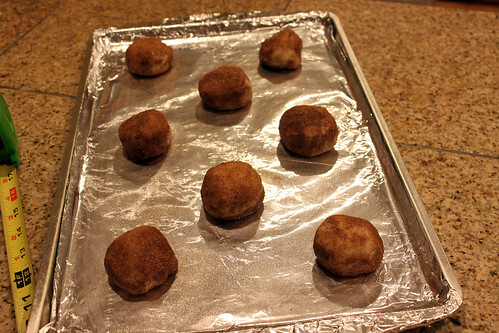 Wet hands, form dough ball, roll into cinnamon sugar mixture and place on baking sheet. Continue until there is no more dough. Space out the cookie dough ~ 2 1/2 inches apart. Bake cookies for 10-12 minutes and rotating the try halfway through cooking. Take cookies out of the oven and let it cook for an additional 10 minutes on the baking sheet. hi Bao, I have one question: in your pictures it shows baking powder, but your ingredient list says that there's no need to add in baking powder. 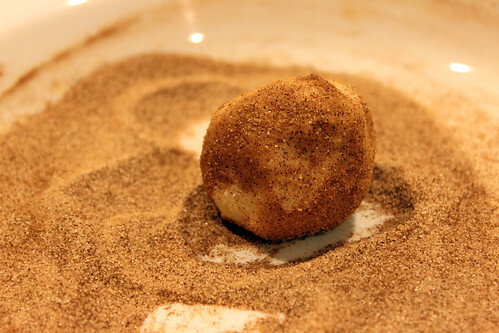 is this something you added in to make your snickerdoodles unique, or did it just magically dissapear from the ingredient list? i made these cookies the other day, and they did not come out as risen as yours; mines were flat. tastewise, perfect… but appearance-wise flat and not so adorable as yours. perhaps the baking powder helps your cookies rise?? Hey HCQ, I didn't use baking powder. I'm not sure how it made a cameo in the ingredients picture. I should remove that picture. 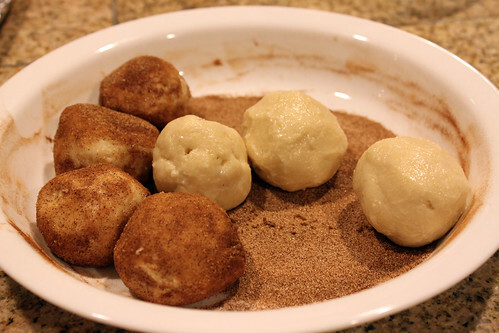 The recipe says form 2tablespoons of dough into a ball. Maybe you can try that.